Herbicide tolerant (HT) canola was introduced in Western Canada in 1995 through an identity preserved production and marketing system, with unrestricted commercial production beginning in 1997. The subsequent adoption was relatively rapid, with 26% in the initial year, 78% by 2002 and 95% by 2007. In 2007, a producer survey was undertaken to learn more about the producer level impacts that were being observed one decade after commercialization. The survey revealed that the new technology generated between $1.063 billion and $1.192 billion annual net direct and indirect benefits for producers over 2005-7 period, partly attributed to lower input costs and partly attributed to better weed control. One major concern in the early years following introduction was the potential for HT traits to outcross with weedy relatives or for genetically modified herbicide tolerant (GMHT) canola to become a pervasive and uncontrollable volunteer in non-canola crops, either of which would offset some producer gains. The survey largely discounts that concern. More than 94% of respondents reported that weed control was the same or had improved following the commercialization of GMHT canola, less than one quarter expressed any concern about herbicide resistance in weed populations, 62% reported no difference in controlling for volunteer GM canola than for regular canola and only 8% indicated that they viewed volunteer GM canola to be one of the top five weeds they need to control. 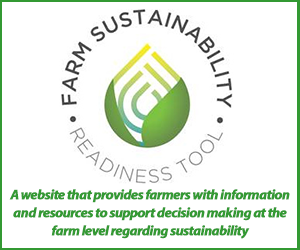 In addition to the economic benefits the survey identified significant environmental benefits, such as producers removing summerfallow as part of their crop rotation. 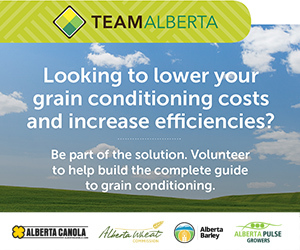 The production of HT canola and the adoption of zero tillage or minimum tillage practices are two complimentary technologies, as the main challenge of this form of land management was the spread of hard to control weed populations. 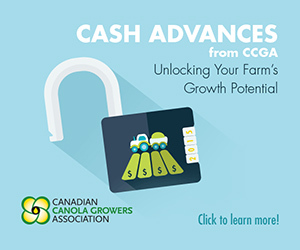 The adoption of HT canola varieties offered new options in weed control, allowing farmers to extend the number of years that they could go without having to till a field. Tillage has dropped from being used on 89% of canola acres in 1999. Much of the tillage associated with HT canola production has been eliminated as 64% of producers are now using zero or minimum tillage as their preferred form of weed control. 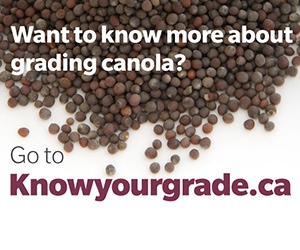 The commercialization and wide spread adoption of HT canola has changed weed management practices in Western Canada. There have been significant changes regarding the use and application of herbicides for weed control in canola. This research shows that when comparing canola production in 1995 and 2006 the toxicity of agro-herbicides applied to canola has decreased of 53%, there has been a decrease in producer exposure to chemicals of 55% and a decrease in chemical active ingredient application of 1.3 million kg. The cumulative environmental impact per hectare (EI/ha) of the top five herbicides applied in 1995 was 46,715, while the figure for the top five herbicides applied in 2006 was 29,458. If HT canola had not been developed and Canadian canola farmers continued to use previous production technologies, the amount of active ingredient applied to control weeds in 2007 would have been 38% above what was actually applied. This report refutes the claims and accusations made by critics of agricultural biotechnology that genetically modified crops do not benefit farmers and are harmful to the environment. As this report will show, the benefits are numerous and substantial.